It would be good to write about Paris-Nice and Tirreno-Adriatico this week, but unfortunately that’ll have to wait. 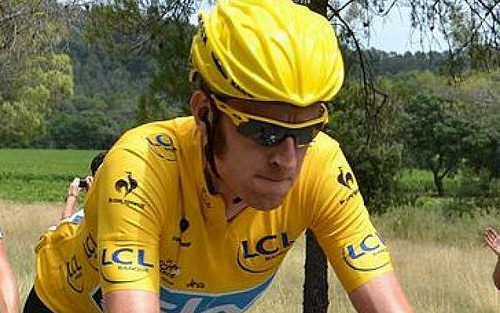 Right now we need to talk about Bradley Wiggins, Team Sky, British Cycling and the latest wave of doping allegations. This week saw the release of a report by the digital, culture, media and sport select committee into doping in sport, a sizeable chunk of which was devoted to Team Sky and Bradley Wiggins’ use of therapeutic use exemptions (TUEs) and corticosteroids. I’ve been following this case in my reporting-the-facts day job and I can tell you there was actually very little new information in this report. As much as anything, it is the MPs’ opinion on a somewhat grey situation on which everyone already had their own take. The report suggested Sky has crossed an “ethical line” rather than clearly violating any doping rules. What in hell does that mean? Once upon a time, cyclists injected EPO or they carried out amateur blood transfusions mid-race. These were things they definitely didn’t need to do for health reasons and things that were very obviously wrong and against the rules. The two main strands of the Team Sky thing are various treatments for asthma which may provide helpful side effects and testosterone patches, which are just out-and-out banned. Endurance sport, by its nature, stresses the lungs and makes it greatly more likely that a person will suffer breathing problems. This is why – unlike many – I’m willing to accept that a large proportion of the peloton suffers from asthma as it is currently defined. If there is a thing called exercise-induced asthma then it seems reasonable that the people who do the highest volumes of aerobic exercise are going to be those most likely to suffer from it. This is, however, our first path choice as we travel down a decidedly murky road. Already, plenty of people have taken the other fork – and now we’re going to wave goodbye to a bunch more people as we take a look at how such a condition should be treated. Writing about this subject last time around, I made the point that no-one would claim that sledgehammers don’t crack nuts very effectively indeed. This is the best way I can sum up my own position on Team Sky’s use of TUEs for triamcinolone, a powerful corticosteroid which would usually be banned. If Wiggins has asthma, triamcinolone is a way in which asthma symptoms can be prevented for a period. Hurray! Oh, but by the way, it will also eat fat from your body. I don’t know if you’ve ever seen a Tour de France winning cyclist, but there’s a reason why they’re not exactly porkers. Every ounce of fat you have to lift up a mountain pass is quite literally holding you back. So in terms of performance, get permission to use such a drug and it’s likely to be a win-win for most riders. I suppose the “ethical line” relates to whether the main reason for using the drug is for the prevention of symptoms or for the beneficial side effects. That weighting lies within someone’s brain, so it is hard to measure. What I’d say is that if you, as a cycling team, are presented with a particular medical option for a certain condition, you probably want to be sure that you can justify using it should that treatment become public knowledge. “Yeah, but they let us,” sadly isn’t enough. Cycling is not a sport where teams are given the benefit of the doubt when it comes to this kind of thing. Tell you who’s most acutely aware of this fact: cycling teams. Testosterone patches were sent to the Manchester velodrome – the base for both British Cycling and Team Sky – in 2011. Testosterone patches are banned, so there’s no real argument you can make about using them for some particular condition or other. Dr Richard Freeman, who at various times worked for both organisations, was in charge of ordering medical supplies. He said they were sent by mistake and is said to have got a letter off the supplier confirming this. It’s since been reported that the General Medical Council may have found evidence that they were in fact ordered after all, but I rather feel that “may have found evidence” is beyond the scope of this particular article. We’ll just have to see how this one pans out. The select committee report makes reference to an anonymous source who said there was widespread use of triamcinolone at Team Sky and that it wasn’t just Wiggins. Some of the stocks of the drug haven’t been accounted for, which isn’t a good look, but beyond that we’re a bit light on details here. Again I’m going to say this is beyond the scope of this article. Something medical was delivered to Wiggins at the 2011 Critérium du Daupiné. No-one can say for definite what. Same again. I’m not going to draw conclusions. Not all crimes are genocide, but it doesn’t mean they’re not crimes. Similarly, not all sporting wrongdoing amounts to out-and-out doping. I think the crux of the matter is that given cycling’s past, everyone – and I mean everyone – in cycling knows that defining ‘the line’ as ‘strictly speaking within the rules as they were at that time’ is not really good enough. Operate to that standard and when asked to give an account of yourself, you’re only going to be able to persuade a small proportion of people that you’re not a wrong ‘un. If you’re aware that this is the danger and attempt to head it off by being really secretive – well, by this point you’re really just hiring a JCB for the hole you’re digging. Some people are okay with Team Sky’s practices and some people think they out-and-out cheated. Most are somewhere between, reading guides to knowing where to draw the line. Even if you personally feel the team did nothing wrong, I’d argue that a larger number of people agree with the MPs’ conclusion that an ethical line was crossed. I’d also argue that such a public reaction was predictable and should have been taken into consideration when taking medical decisions.